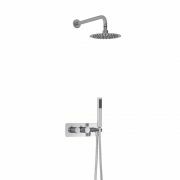 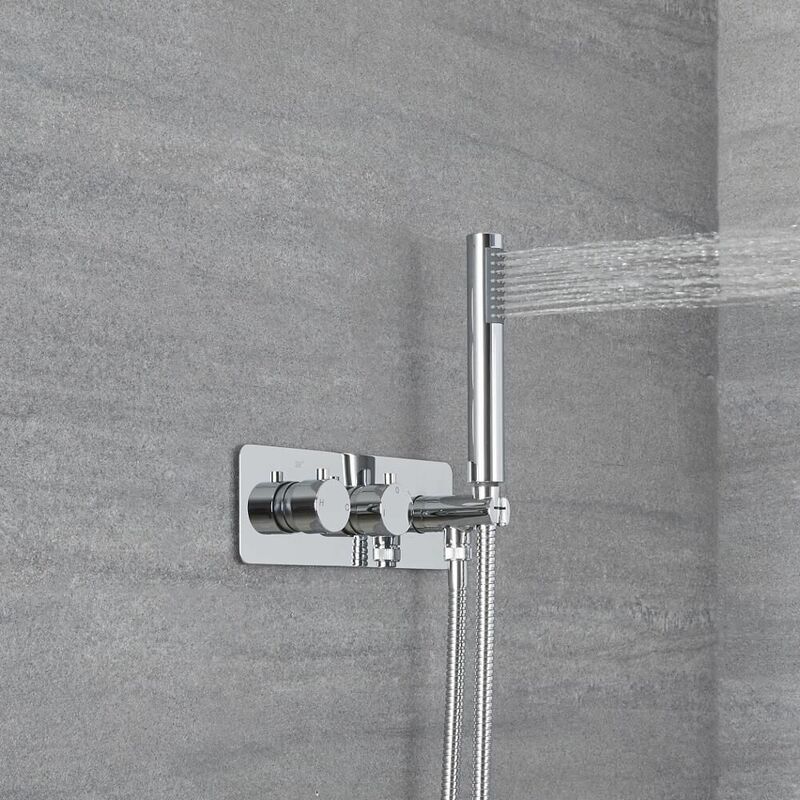 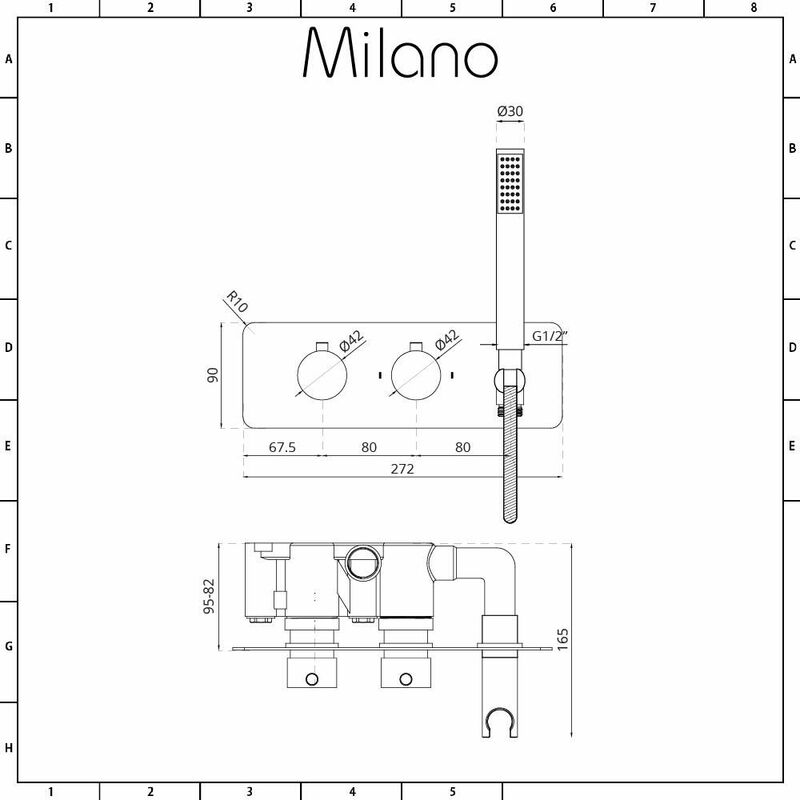 Smarten up your bathroom or en-suite with the Milano Mirage round twin diverter thermostatic shower valve complete with handset. 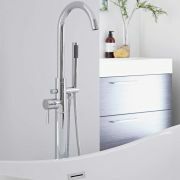 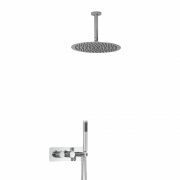 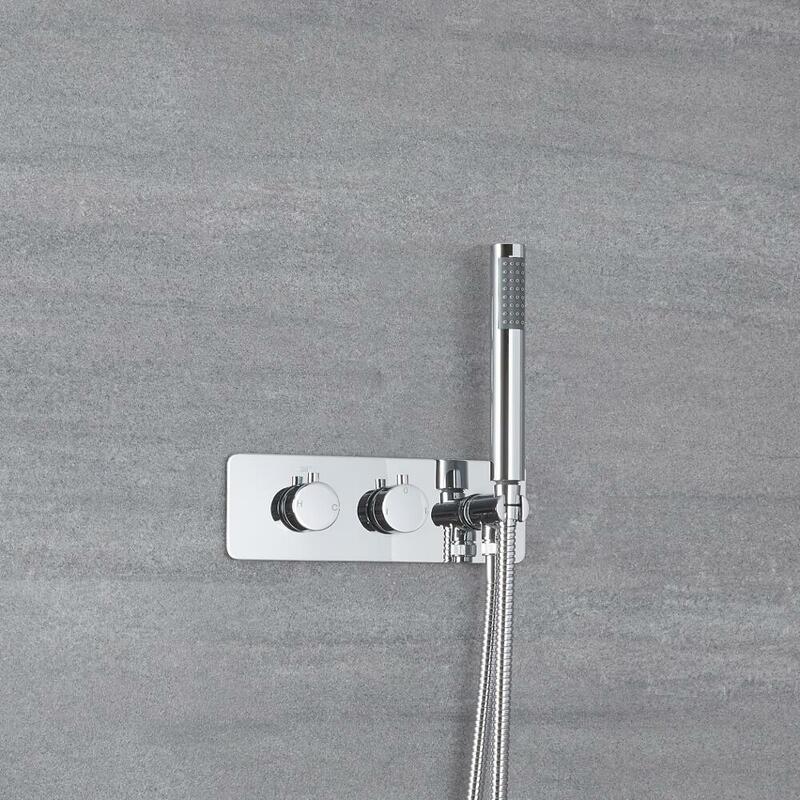 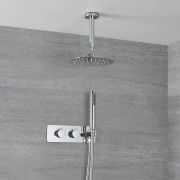 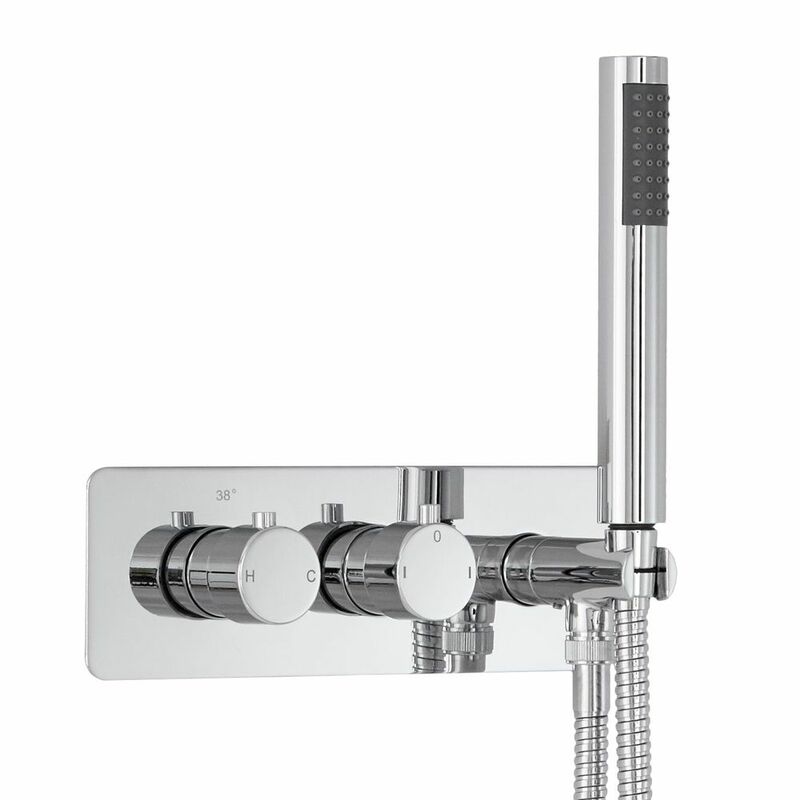 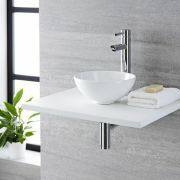 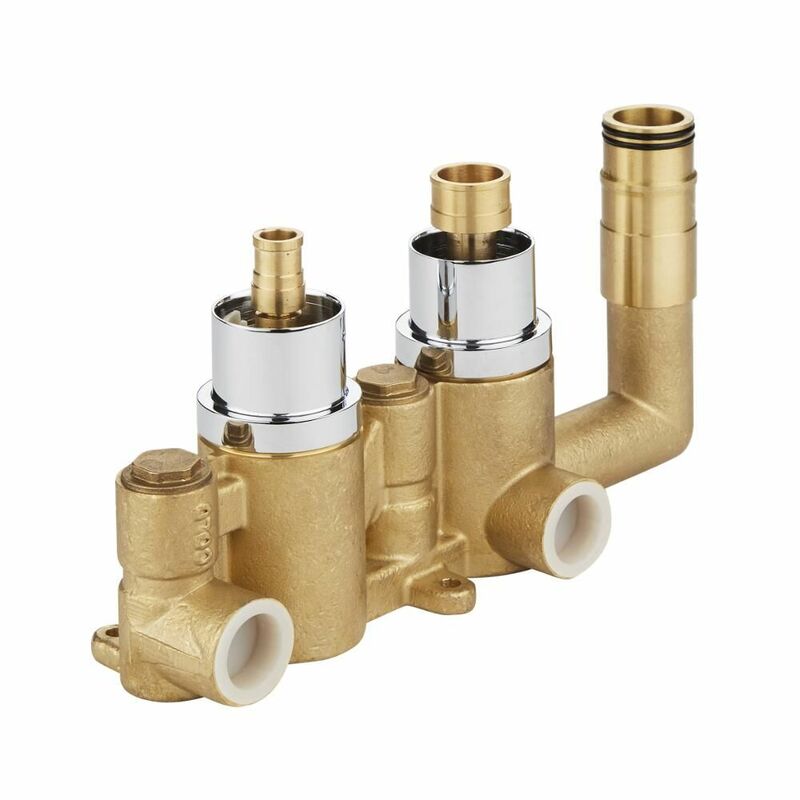 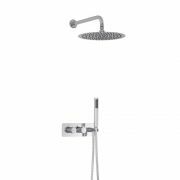 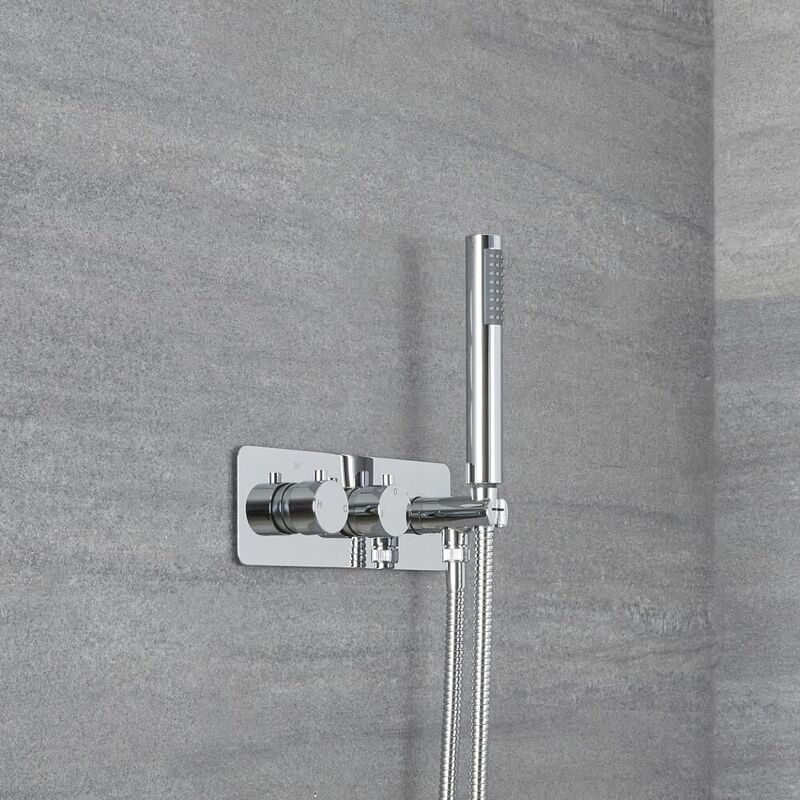 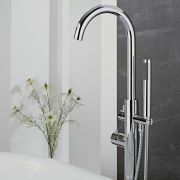 Featuring a chrome finish and a modern design, the shower valve incorporates anti-scald technology for peace of mind. 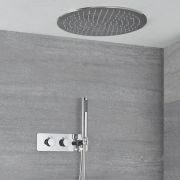 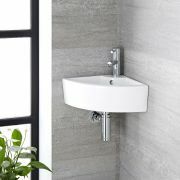 The hand shower provides a quick and easy way to rinse and clean around your bath or enclosure.